They are Still Finding Stuff! 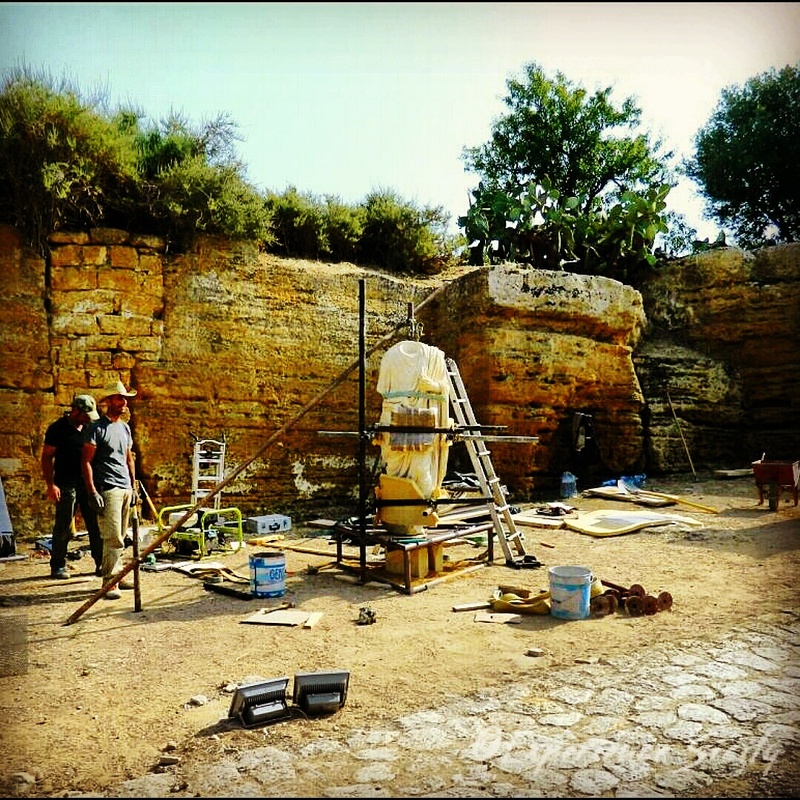 When grants support archaeological work, more excavations take place. This is true all over Italy. I was surprised this summer when I was at Agrigento’s Valley of the Temples (during 3 different visits) and I learned that various parts of the UNESCO World Heritage site were still subjects of research projects. For example, this statue shown was being installed at the site in late June after having been restored. It is one of two marble togate statues that were found during excavations in 2005. Dating back to the first half of the 1st century AD, scholars believe this statue is one of a series dedicated to the Roman imperial family or to Agrigento’s city magistrates. It was found in an area that once was a Roman-era monumental complex with a grand temple. Fascinating! Yes, archaeology digs go on for years. That statue looks pristine. It’s true, but I was surprised at this site because of the centuries that it’s been the subject of research. As a major city for centuries though, I should have known better!